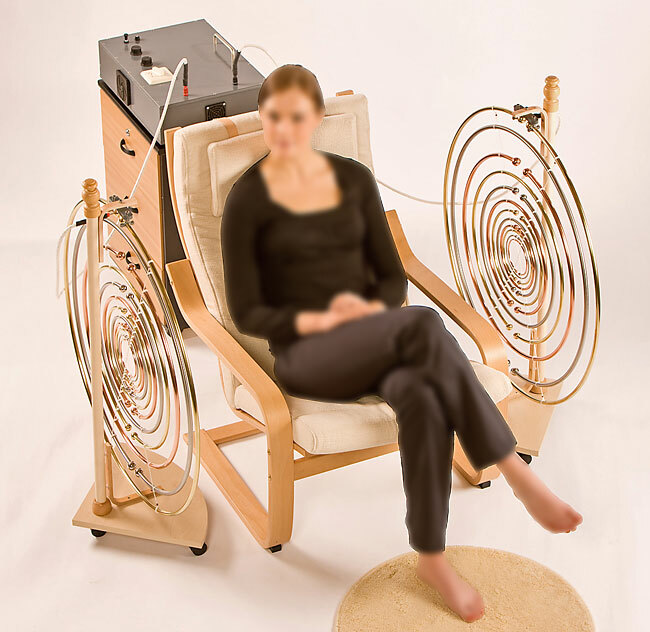 The Life Force Activator's original design, in all probability, came from Nikola Tesla. George Lakhovsky in turn elaborated on this design and has done many experiments on plants, animals and people with stunning results. In his book “The secret of Life, Electricity, Radiation and your Body” (ISBN 0-939482-08-8) he stated that: "Cells from living organism behave themselves as small radio transmitters and receivers. When cells are irradiated with a correct polarized electromagnetic field (which has a broad range of frequencies), each cell will pick up on a frequency and assimilate the energy out of that field. This has a tremendous stimulating and harmonizing action on the cells and thus interacts with surrounding tissues and organs." He viewed disease as a battle of vibrations between the cells of the body versus viruses and bacteria. If the pathogenic organisms won this vibrational contest, the cells would become energetically weakened and more susceptible to disease. According to Lakhovsky, the way to counter this vibrational attack was to introduce a broad spectrum of RF (radio frequency) harmonic energies into the system and then, through the principle of sympathetic resonance, each cell would pick out exactly the proper frequency needed to reinforce its own internal vibration and the healthy cell would be more resistant to vibrational attack from virus and bacteria. His method of achieving this was by means of his invention that is known today as the Life Force Activator. I have used my LFA with positive results on creatures who have suffered from various forms of illness or injury. It has definitely speeded up recovery and the animal has been receptive and often are relieved of intense pain as the energy lines open up and relief ensues.